Bi-fold doors and French windows famously change the way we use our homes, as they effectively double our living spaces. But why stop there? Architects and designers are experimenting with other ways to enhance our lives through the use of glazing, as these inspiring examples show. 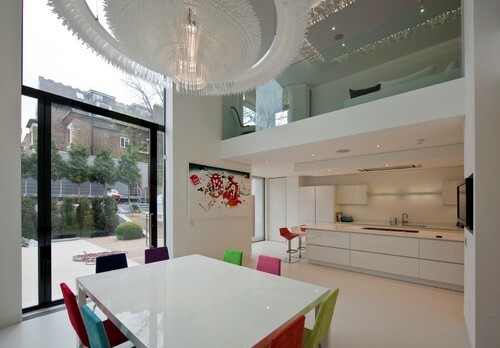 Glass played an integral part in this conversion of a London water tower, and the kitchen shows how layers of glazing added depth to the design. A mezzanine, a half wall and a vast expanse of exterior glazing contribute to a cascading effect that elegantly maximises light and space. An innovative glazed space like this could link two rooms in a new-build or elegantly join two old buildings, such as a farmhouse and nearby barn, equally well. Architecture that embraces the pauses in the flow of a building is creative and thoughtful, and results in beautifully conceived spaces such as this one. 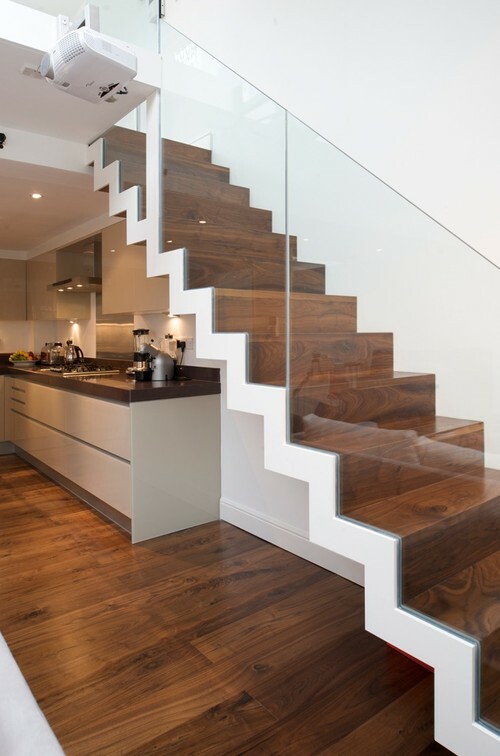 All-glass staircases with clear banisters can be a bit daunting, but combining the clarity of glass with the warmth and solidity of wood is a winner. With the side view of the steps and risers outlined in glossy white, the staircase becomes an architectural feature that links with the kitchen units, rather than an interruption to the space. Double doors out onto a garden or patio are on most architects’ lists of suggestions, but balconies seem to get short-changed. 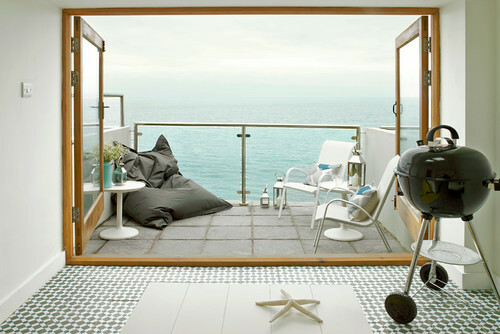 Even if you don’t have a view as breathtaking as this Cornish apartment’s, double doors feel expansive, especially when the balcony wall is also glazed. An unobtrusive glass shelf like this one appears to float at eye level, meaning a textured wall or interesting splashback can be the focus. 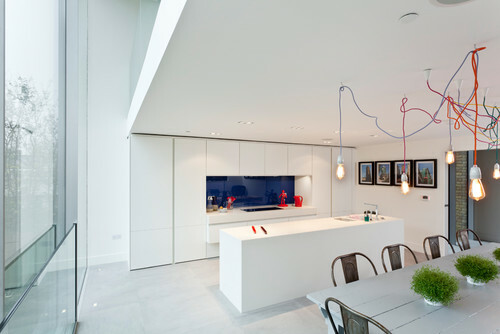 In a linear kitchen, it enhances the design, visually linking with high-gloss surfaces and conventional glazing. A frosted-glass room divider has a hint of the delicate nature of Japanese paper screens, yet feels contemporary enough for slick interiors. It’s a perfect solution for an open-plan space, where it creates privacy without affecting the sense of flow. 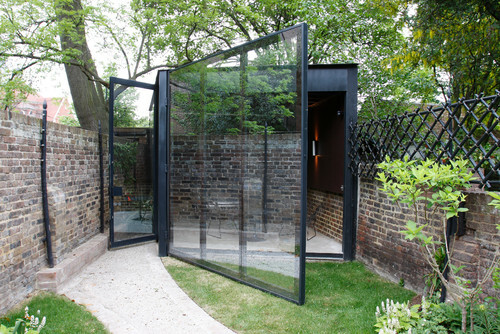 Glass-box extensions are most often built onto the back of a house or along the side return. But if your garden has the square footage, a separate glazed office can be a clear winner. With no concerns about how it will dovetail with the existing structure – or walls to knock down – it’s a swift and stylish way to add space. 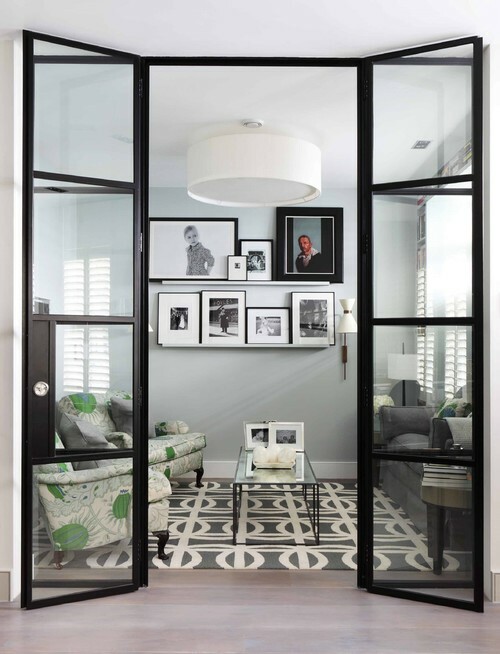 Crittall metal-framed windows had their first heyday in the 1930s and 1940s, but their look is enjoying a revival as a way to inject industrial edge. This set of double doors is a great architectural solution to a small snug room. It makes a feature of its uniqueness, but the floor-to-ceiling proportions unite it with the adjoining space. In a double-height extension, valuable space can be utilised by adding a mezzanine floor. A reinforced glass wall means natural light still reaches the compact area, while also keeping the main space feeling as open as possible. Glass isn’t always about the sleek and modern. Here, a set of vintage windows is used as a divider and works more of an industrial look that suits the bare-brick wall – a great idea in a large, open-plan space such as this loft.